Am writing like crazy, finishing the first draft of a screenplay, so not much blogging these days. Am now in rewrites, so I leave you with a few links. 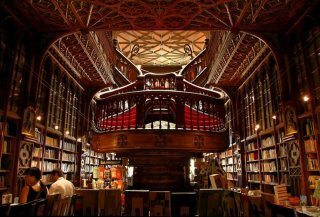 The most interesting bookstores and the most interesting libraries. There’s a saying from my old Drama classes, if it ain’t on the page, it ain’t on the stage. Likewise, if you’re writing a novel, if it’s in your head and doesn’t make it to the page, the reader will never know. Great post here on upping the stakes in your storytelling. I’m telling you, writing a film is a great exercise for novel writers. It forces you to strip down to the story, which means increasing narrative discipline and upping the stakes. Because it’s a visual medium, you can’t hide in fancy pants prose – though you can try by relying too heavily on dialog. You want to focus on dialog? Write a play. Think you don’t have time to write a screenplay? 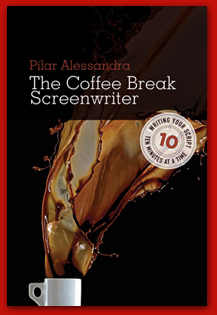 Get Pilar Allessandra’s book, The Coffee Break Screenwriter. That’s also how I wrote my first novel, in tiny increments of time. No excuses! ← are you an agitator?